NORWALK –Riverview Plaza on Belden Avenue could become the home of the New England Auto Museum. 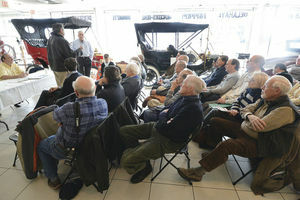 New England Auto Museum (NEAM), a nonprofit organization founded to preserve, interpret and exhibit automobiles and automotive artifacts, has selected Norwalk as the future home of a museum and educational facility, according to its website. And at this point, the organization has its sights set on Riverview Plaza at 24 Belden Ave. The New England Auto Museum would feature 100 automobiles, an education center and automotive academy co-sponsored by Norwalk Community College and the Norwalk Public Schools P-Tech Program, and draw 100,000 to 150,000 visitors annually, according to NEAM. Ord’s comments came at City Hall on Tuesday evening after the Norwalk Redevelopment Commission approved a $13,000 grant toward an assessment to determine whether such a museum would be viable in the Norwalk area. “It’s not so much location but to verify that we have economic rationale to proceed,” Ord told commissioners. Commissioners approved thegrant after requesting that Norwalk be the focus of the assessment. Ord said NEAM has explored East Hartford, Bristol, Southington as possible locations for the auto museum but all fell through. In Norwalk, the organization earlier eyed Loehmann’s Plaza on West Avenue. White Oak Associates Museum Planners and Producers will perform the assessment at a cost of $65,000. 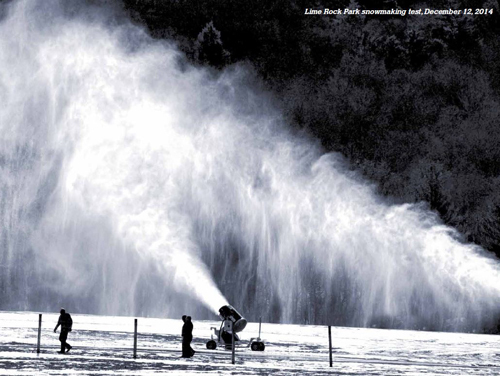 Ord said NEAM has applied for $32,500 in funding from the Connecticut Department of Economic and Community Development and will attempt to raise $19,500 in private donations to cover the balance of the assessment cost. NEAM has until Feb. 2, 2016, to secure all funding. 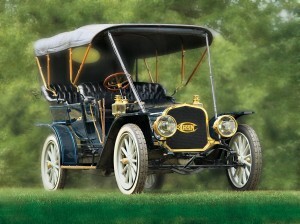 NEAM was founded in 2007 by Michael and Christine Scheidel to “celebrate the automobile and its significant impact on our culture through the preservation and exhibition of automobiles and historical artifacts,” according to its website. 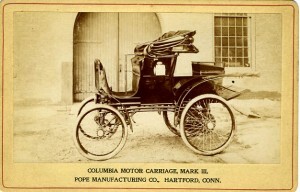 According to NEAM, Norwalk is the ideal location for an auto museum: the city is at the crossroads of Interstate 95, Route 7 and Metro-North Railroad, lies an hour from Manhattan at the gateway to New England, and has other museums (The Maritime Aquarium at Norwalk and Stepping Stones Museum for Children) that attract more than 1.3 million visitors annually. In addition, Norwalk is surrounded by the nation’s wealthiest zip codes. “Norwalk’s New England location will draw current and future automobile enthusiasts from a wide area and provide a gathering spot for the region’s extensive and active automotive community,” according to NEAM. The conceptual plan has received endorsements from, among others, Mayor Harry W. Rilling and Norwalk Community College President David L. Levinson. “The museum’s presence in Norwalk will not only be a major tourist attraction in its own right, but will provide a venue for an automotive technology program that we will offer in tandem with the Norwalk Public Schools,” Levinson wrote. 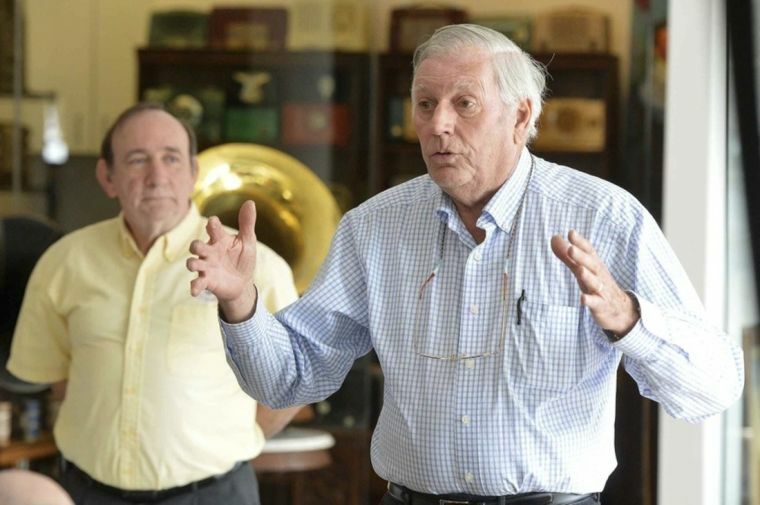 Rilling, in a letter this month, congratulated NEAM in advance for its 10th annual Darien Collectors Car Show, which is scheduled for Sunday, June 21, from 10 a.m. to 3 p.m., at Mathews Park in Norwalk. 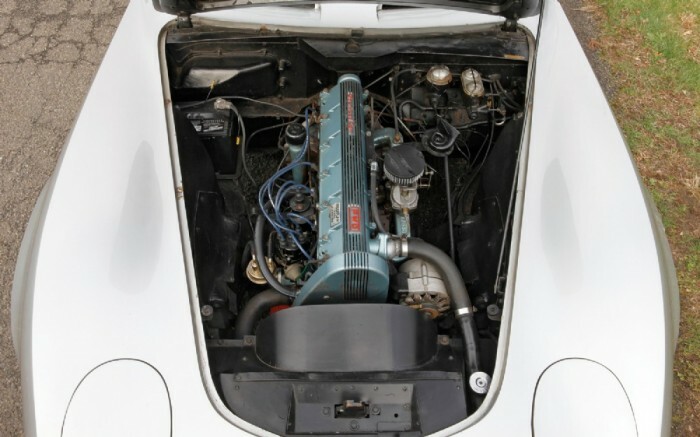 The event is expected to bring more than 100 collector cars. The mayor welcomed the prospect of Norwalk becoming the home of NEAM’s automotive museum. “It will serve both as an educational center as well as display center to highlight an ever changing evolution of car history and technological development,” he wrote. Hour Photo/Alex von Kleydorff. New England Auto Racers Hall of Fame member and national champion driver, Connecticut’s Bob Sharp speaks as New England Auto Museum Founder and CEO Mike Scheidel holds a press conference at Dragone Classic Automobiles in Westport in March 2014. 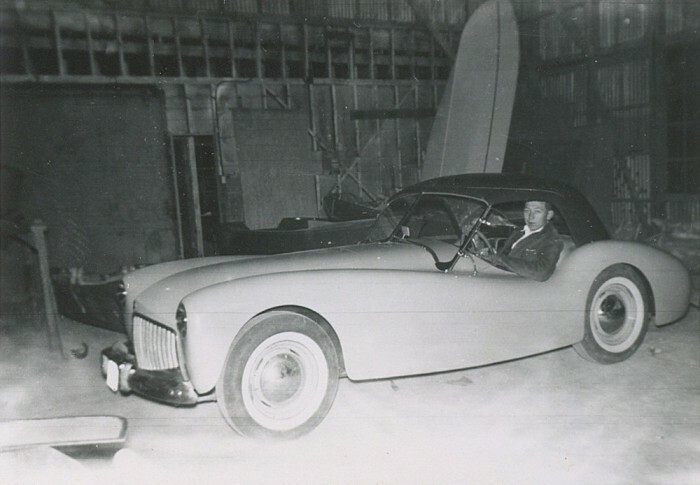 Naugatuck, CT – Bill Tritt and his company Glasspar were growing in the fiberglass boat business by leaps and bounds, and while the bulk of their business was always boats and ships, in late 1949 he had started working with Ken Brooks to produce a fiberglass sports car body. 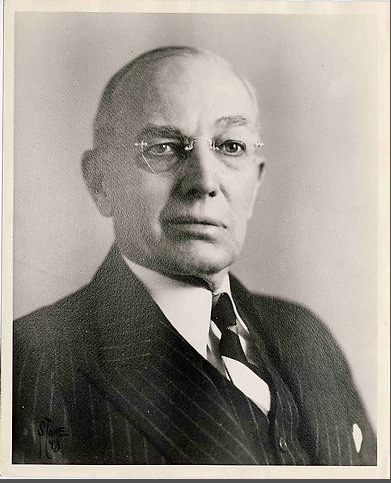 By early 1950, Bill was looking to expand and take on new business, and in that year Tritt brought on investors that would allow his company to grow. Things were looking good for Glasspar, and Tritt wanted to add sports car bodies to Glasspar’s product list, but there was a problem. Lots of companies needed supplies, but none more so than the U.S. government. The summer of 1950, when Glasspar began its expansion plans, was also the same time that the Korean War started (Korean forces invaded South Korea on June 25, 1950), and this war continued through the summer of 1953. Resources were in scant supply, and everyone wanted what was available. It was in that setting that Tritt pressed forward to find more supplies – polyester resin and fiberglass mat – in Southern California. At every corner he turned, supplies were being dedicated to the war effort. Glasspar’s dreams of expanding were suddenly in a precarious position. This historic moment was captured by more than one person. Back in 1951, Bert McNomee was in the operations area of the public relations department for Naugatuck Chemical. From 1968 to 1976, Bert was the director of public relations for U.S. Rubber, but during 1951, he was at ground zero of what was about to happen with Glasspar and fiberglass sports cars. At this time, Earl Ebers went up to Naugatuck to meet with George Vila, who was the General Sales Manager, and John Coe, who was the Vice President. 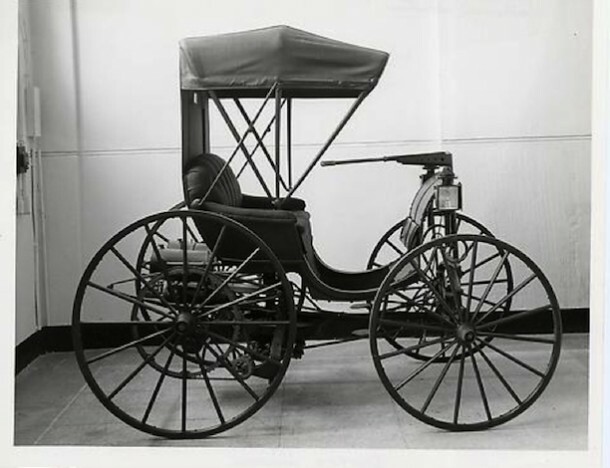 They both agreed that Naugatuck Chemical would subsidize the construction of four prototype cars, which was the amount Tritt wanted to justify setting up the bucks and molds. In the fall of 1951, the team from Naugatuck Chemical returned with Life Magazine photographer J. R. Eyerman. 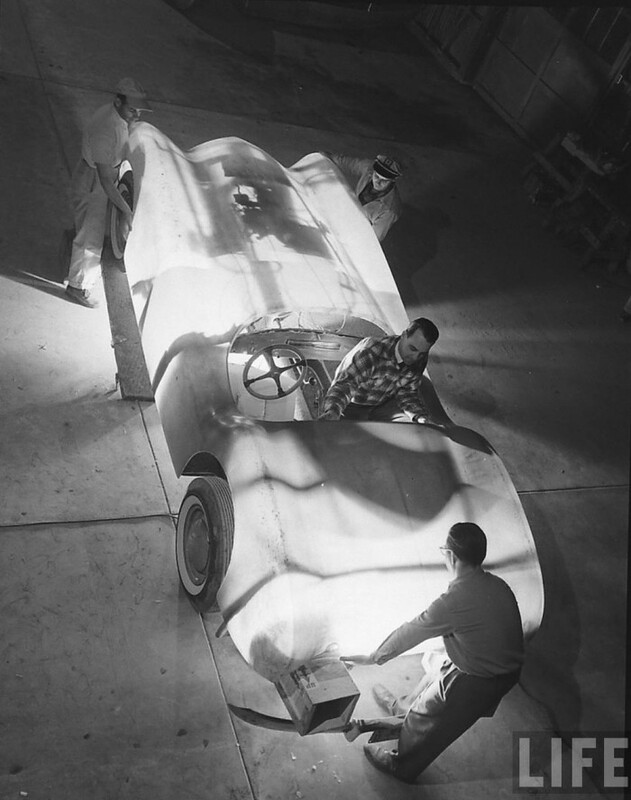 During this time, they photographed the Brooks Boxer in action shots for the magazine, captured Bill Tritt working on the plaster buck for the G2 sports car, showed the steps in making a fiberglass body, and more. 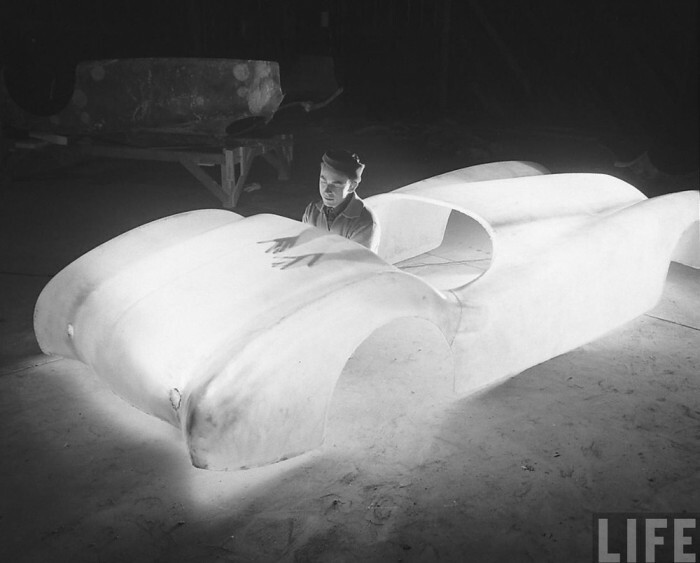 In fact, in photographing the sports car body being built, they would be capturing the very first body being built from the production molds. 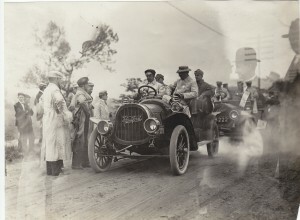 This would become the second Glasspar sports car built – the Alembic I. In preparation for today’s story, I called Bert McNomee (he’s doing great and has been a constant source of support and information for the history of these times), and asked him about how the name Alembic I came to be for the second sports car built by Glasspar. Bert reminded me that Naugatuck Chemical was a chemical company first, and in chemistry, Alembic has its origin in equipment involved in the distillation process. According to Merriam-Webster, the definition of Alembic is either an apparatus used in distillation or something that refines or transmutes as if by distillation. And so, with great excitement, enthusiasm, and the backing of a large company, the second Glasspar sports car was born, the Alembic I. 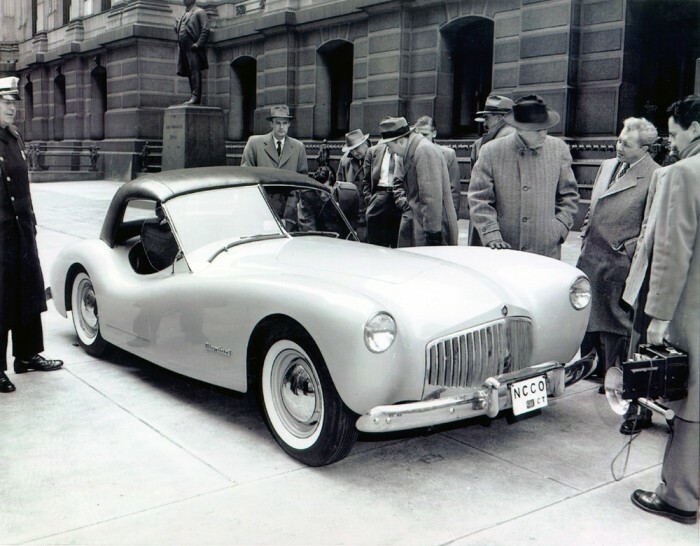 Bill Tritt, Glasspar, and Naugatuck Chemical pressed forth, and to the delight of all, Life Magazine published the article in February 1952 and the world of fiberglass sports cars was never the same. Geoff Hacker is a Tampa, Florida-based automotive historian who specializes in tracking down bizarre, off-beat, and undocumented automobiles. 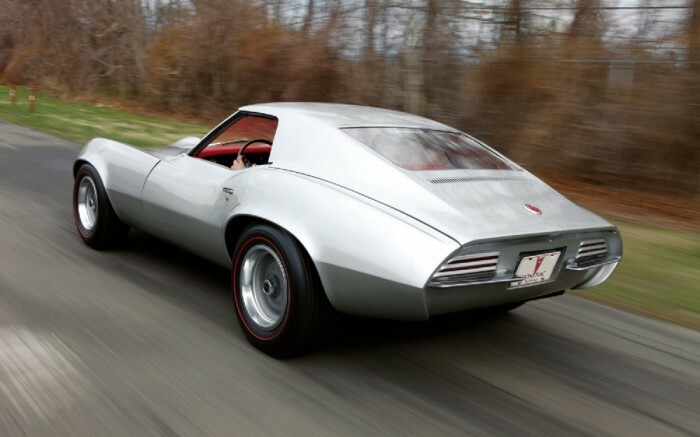 His favorites are Fifties American fiberglass-bodied cars, and he shares his research into those cars at ForgottenFiberglass.com. Glasspar Cars are featured on Ray Evernham’s Americarna episode “Forgotten Fiberglass” on VelocityTV; Check your local listings for date and time. 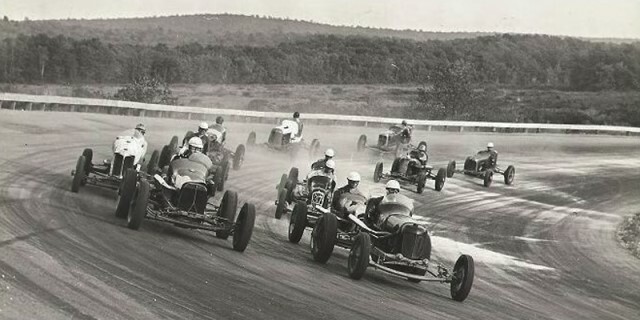 Thompson, CT – The 2015 season will mark the 75th anniversary of Thompson Speedway Motorsports Park, so it is fitting that it would also see the return of historic racing on the 5/8 mile oval, for the first time since 2012. The Historic Oval Invitational will be a two-day event held on Friday and Saturday, May 15-16, 2015. The races are open to any race cars built before 2000, and will include Midgets, Sprints, 3/4 Midgets, Super Modifieds, Champ Cars, Vintage Outlaws, Stock Cars and more. The event will also feature a Hot Rod & Classic Car Show on Saturday morning from 10AM until 2PM. The cost to display a car is $10, which includes grandstand admission for the event. Spectator prices, entry fees and more information can be found on TSMP’s website at www.thompsonspeedway.com, or by phone at 860-923-2280. Updates will be posted on Facebook, Twitter and YouTube. 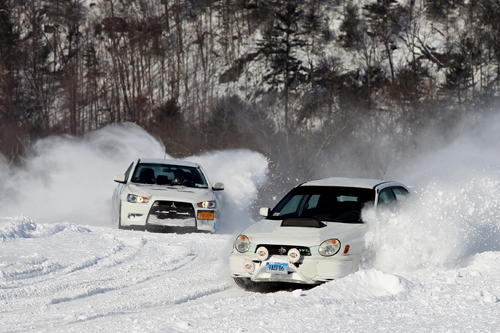 Racing, yes, and so much more. 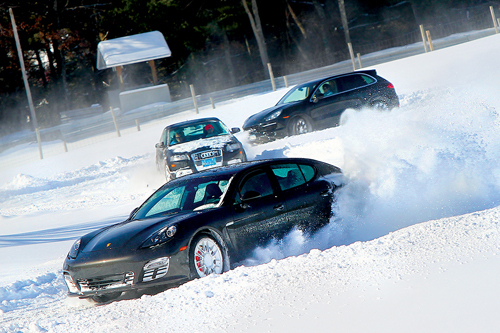 Tucked away in the beautiful countryside of Northeastern Connecticut, Thompson Speedway Motorsports Park (TSMP) is the home of a historic raceway and a classic 18-hole golf course. Now, as the facility is continuously improved, Thompson Speedway offers more than ever before. Owned and operated by the Hoenig family for four generations since before it became a racetrack in 1939, TSMP today offers more options than any other track in New England. As always, the historic 5/8 mile high banked oval hosts a number of annual NASCAR stock car and open wheel racing events, including the NASCAR Whelen Modified Tour and NASCAR Whelen All American Series. The 1.7 mile road course is the rebirth of the first purpose-built closed-circuit road racing track in the United States. 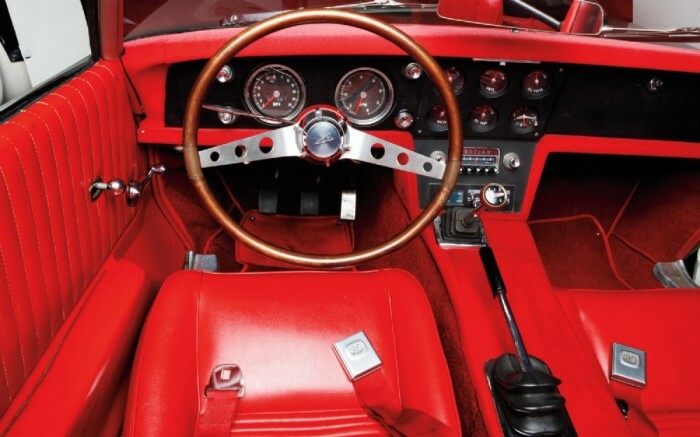 It offers elements to challenge amateur and professional drivers alike – and includes the nostalgia inherent in its history. The Raceway Golf Club offers 18 holes of classic New England golf course design. The Clubhouse, Restaurant and Banquet Facility overlook both the golf course and motorsports facility. Bogey’s Ice Cream Stand continues to serve up the region’s best ice cream. And today, TSMP also includes a unique Drivers Club, the High Performance Driving Experience, and Corporate/Private events of all types. 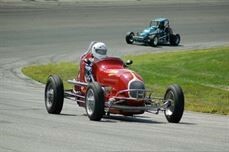 Just 50 minutes from downtown Boston, 2.5 hours from New York City and 40 minutes from Hartford and Providence, Thompson Speedway Motorsports Park continues to strive to bring more excitement and entertainment to fans of all ages. In 2015, race goers will find something at TSMP for the whole family to enjoy. Hartford, CT – Mark your calendar for the return of the Connecticut International Auto Show at the Connecticut Convention Center, Friday November 21 to Sunday November 23, 2014. The Auto Show has something for everyone, from gear-heads to carpoolers alike. With hundreds of vehicles to browse and explore, fans can hop in the driver’s seat of the latest models and satisfy their automotive dreams. The newest 2015 models will be on display, including the latest in fuel-efficient options and new technologies. It’s a convenient way to compare prices and features, saving both time and money. There are cars to suit every budget and lifestyle, as well as entertainment and specialty vehicles. 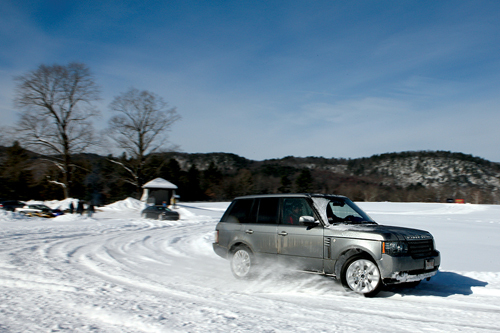 There’s even a chance to get behind the wheel at the show, thanks to the show’s Ride&Drive programs. 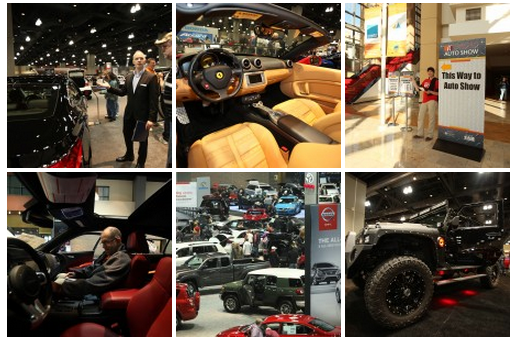 The Auto Show is great entertainment for serious shoppers, car buffs and the entire family! Box office closes 1 hour before show closing. Friday, November 21: $2.00 off senior discount, age 65+ with ID. Friday is Military Day – with proper military ID, military members receive free admission to the show. Friday is also Heels & Wheels Night, when from 5 – 8 PM all women receive a $2 discount on admission.